Tree House Setting on Private Cul-De-Sac! Have you been looking for that vaulted ceiling A-Frame look, then look no further? This cute 3 bedroom is just what you have been looking for with a wall of windows that looks out onto the trees. There are 2 main floor bedrooms and one Loft bedroom with full bath. Open floor plan, laundry inside, and newer tile floors on main floor. 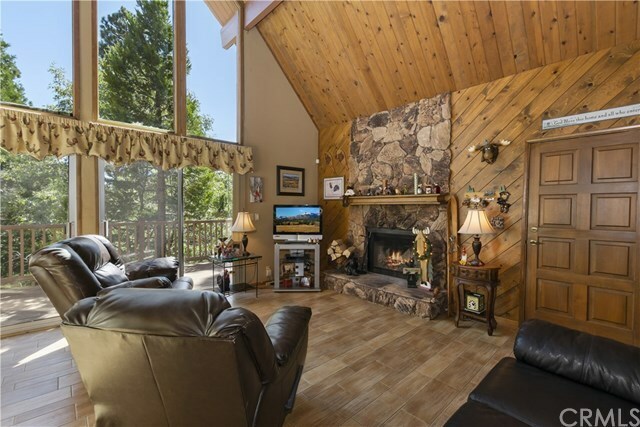 Come be above it all in Twin Peaks in this quaint mountain cabin! Directions: Grass Valley to Lake Forest to Maxon, house is on upside.